The “American Idol” winner will be performing at the Honeywell Center this weekend, Sunday, Nov. 8. Karaoke will happen from 9 p.m. to 1 a.m. Friday, Nov. 6. United Band will be performing from 9 p.m. to 1 a.m. Saturday, Nov. 7. Cap’n Bob will be performing at the Lady lions Holiday Shopping Bazaar from 9 a.m. – 3 p.m. Saturday, Nov. 7. Random Play will be performing from 9:30 p.m. to 1:30 a.m. Friday, Nov. 6. Hometown Heroes will be performing from 9:30 p.m. to 1:30 a.m. Saturday, Nov. 7. Sum of 3 will be performing at 9:30 p.m. Saturday, Nov. 7. No cover charge. Pottsie’s Pastime will be performing from 8 p.m. to midnight Saturday, Nov. 7. Pottsie’s Pastime consists of John Potts on rhythm guitar and lead vocals and Larry Shepard on lead guitar and backup vocals. In the last 20 years Larry and John have dabbled in the Nashville scene a time or two to bring you rich sounds and tones that you can’t find anywhere but Nashville. No cover charge and free parking. 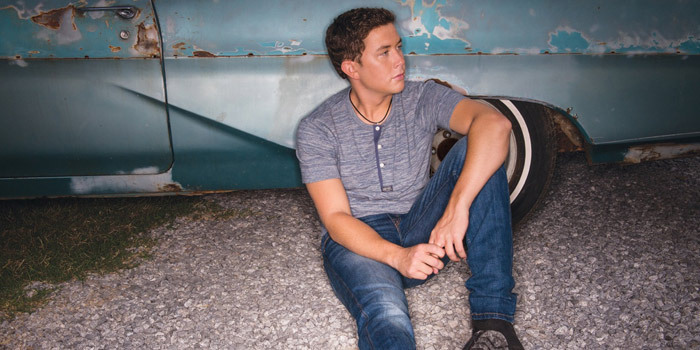 Scotty McCreery will be performing at 7:30 p.m. Sunday, Nov. 8. McCreery perfectly blends traditional and contemporary country on his second number one-debuting album “See You Tonight.” He has become one of country music’s hottest new stars with album sales approaching two million. He embarks on his latest tour as his current single “Southern Belle” climbs the charts. First Friday in downtown Warsaw will be happening from 4-8 p.m. Friday, Nov. 6. On the First Friday of every month, throughout the year, downtown businesses host special events with extended hours, entertainment and shopping specials. Every month features a special theme with entertainment and activities for the whole family. Flostorm will be performing at 8 p.m. Sunday, Nov. 8 at Riff Raff’s bar in Indianapolis. To have an event added to this list or future lists, email [email protected] with the what, when, where and cost.